But, there are other customers who work in truly tough environments, face real dangers, and need even more durable technology in their jobs. When our engineers were designing our latest refresh of Dell Rugged Solutions they had direct conversations with our most “extreme” customers to better understand their technology needs in order to excel in their rigorous work environments — from sandy desert winds to greasy NASCAR pits. JTG Daugherty Racing, the NASCAR team for 2000 Sprint Cup Series Champion Bobby Labonte, is laser focused on shaving seconds off race times—they don’t have room for technology hiccups due to the heat, dust and bumps that are an everyday part of the NASCAR pit. Our Rugged solutions save the JTG team two full days when adjusting the No. 47 car because they can capture data instantly, rather than manually measuring. Another customer that drove many of the adjustments we incorporated into the Latitude 14 Rugged Extreme and Latitude 12 Rugged Extreme is the U.S. military. Customers from each branch shared specific modifications they would like to have made during our design phase. These customers depend on Dell Rugged Solutions in situations where lives are on the line, in extreme conditions that range from arid deserts to frozen mountain ranges. Our latest Rugged innovations will keep military users logged on with elite computing performance wherever the call of duty takes them. Our military customers aren’t working out of your typical office, so the 30 percent improvement in battery life is a vital upgrade to keep them on task while in the field. New light-weight materials and chassis design innovation give them increased mobility — a big advantage for users that are hauling their laptops from camp to camp on military campaigns. And, new outdoor-readable screen technology will give service members, and all Rugged users, the best viewability in all lighting conditions—from the glaring midday sun to low-light dusk hours. And every solution in our Rugged portfolio goes well beyond meeting the full compliments of MIL-STD-810G testing. Every single modification that went into the new Latitude 14 Rugged Extreme —from the ports designed to open easily even when wearing thick work gloves, to replacing the ported docking connection with a tight-seal Pogo Pin docking design that prevents dust and water from entering — is a direct result of customer feedback. The Latitude Rugged Extreme 12 even has an industry-first ruggedized flip-hinge convertible tablet display because these customers told us they wanted a smaller device that integrates multi-touch interface that could still maintain its rugged bona fides. Dell’s solutions cover a lot of ground—literally from the end-user to the data center all brought together with related software and services—but our commitment to providing customers with the best solutions for their specific technology needs is inherent in everything we do. That’s why we pulled innovations from all corners of Dell to produce this Rugged portfolio. Latitude DNA gives our Rugged devices elite computing power, Alienware technology is behind backlighted keyboards that enable low-light productivity and the Latitude Rugged Extreme 12’s industry-first flip hinge is inspired by the hinge featured in the XPS 12. 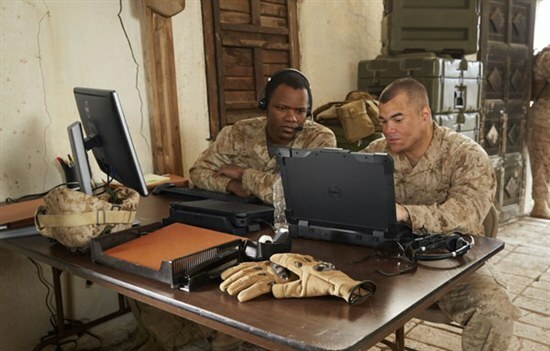 Add in the support of Dell Software, Security and Services and it’s easy to see why our customers like JTG and the U.S. military turn to Dell Rugged Solutions when technology failure is not an option. 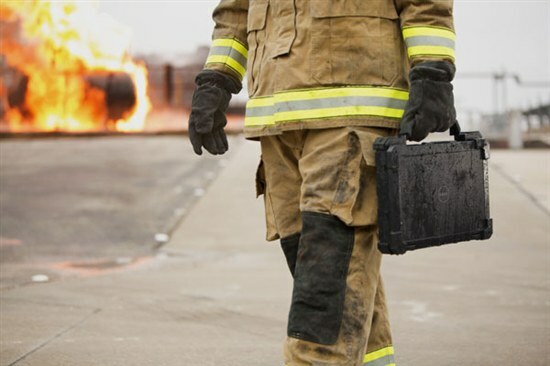 We are the only ruggedized computing provider offering complete, end-to-end solutions that carry Dell’s reputation for performance, security and reliability. The Latitude 14 Rugged Extreme convertible notebook will be available on May 6th and the Latitude 12 Rugged Extreme will be available mid-May. In the meantime, you can visit Dell.com/Rugged to learn more about Dell’s Rugged Solutions.